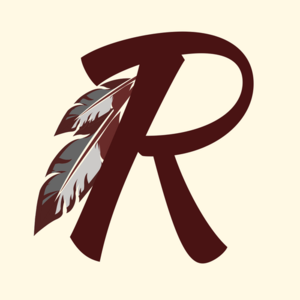 It is the mission of the Riverdale School District to provide a quality educational program for all students. It is our vision to be Wisconsin’s best small town school district. The 2018-19 school year is off to a great start and the Riverdale School District is pleased to share that the schools, and district as a whole, are faring well on the state report card. As a function of the state educational accountability system, the Department of Public Instruction prepared a report card for each publicly funded school and district in Wisconsin. The report card indicates a snapshot of the following areas: Student Achievement - performance on the state reading and mathematics tests. Student Growth - improvement over time on the state reading and mathematics tests. Closing Gaps - progress of student subgroups in closing gaps in reading and mathematics performance and/or graduation rates. On-track and Postsecondary Readiness - performance on key indicators of readiness for graduation and postsecondary pursuits, whether college or career. Performance on Student Engagement Indicators is also reported. Based on the overall scores, schools and districts are given ratings of "significantly exceeds expectations” (83-100), "exceeds expectations”(73-82.9), "meets expectations” (63-72.9), "meets few expectations” (53-62.9) or "fails to meet expectations" (0-52.9). On the current report card, Riverdale Schools were rated as follows: Riverdale School District: Exceeds Expectations (74.7), up 3.8 points since the 2016-17 school year. Riverdale High School: Exceeds Expectations (76.6) Riverdale Junior High School: Meets Expectations (64.9) Riverdale Elementary School: Exceeds Expectations (76.9) Additional information and a copy of each report card is available on the Riverdale School District Website www.riverdale.k12.wi.us. As a learning community we strive to continually make improve and grow. The hard work and dedication of the Riverdale students and staff has made Riverdale schools a great place to learn! 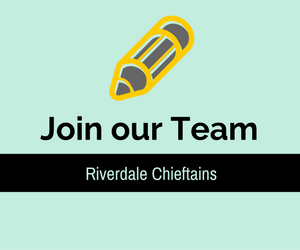 Click here to view current employment opportunities in the Riverdale School District. Welcome to the home of the Riverdale Chieftains! The Riverdale School District is committed to creating quality, personalized learning rooted in rich curriculum and innovative learning opportunities. The strength of our school rests within our people and our programing. Read more..